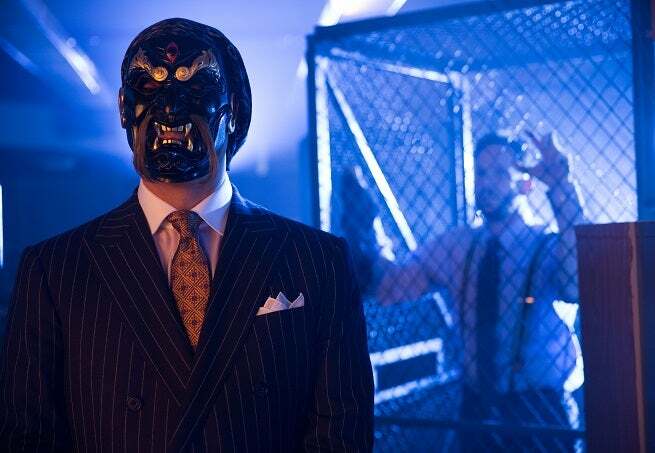 Gotham: Who Is The Black Mask? Tonight on Gotham, fans will get their frist look at the longtime Batman villain the Black Mask. Roman Sionis is an enemy of Batman and one of the most prominent figures in Gotham City's organized crime community. Once a member of Gotham's social elite and president of makeup giant Janus Cosmetics, he was ruined by a series of poor business decisions but blamed Wayne Enterprises for his misfortune. In the hopes of carrying out revenge against Wayne and other wealthy Gothamites, Roman created the identity of the Black Mask, founding the criminal organization known as the False Face Society. Of course, it's Roman's father (we assume) that we meet this week, meaning that anything can (and does) happen with the character and that his finance background doesn't conflict with his son's cosmetics business. In the comics, after a tumultous career as a mobster, he was apparently killed at the hands of Catwoman only to return to Gotham, vengeful, and kill Stephanie Brown, who was then serving as Robin. Of course, before that, he attempted to attack Barbara Gordon, who was then Oracle. Barbara in Gotham has been pretty cagey this week...!